Masiyah/ Masuiah / Ma Si Ye / 马士野 was born around 1853, and married into a Chinese family with the surname Tan. This information is from the burial entry and from her tomb. 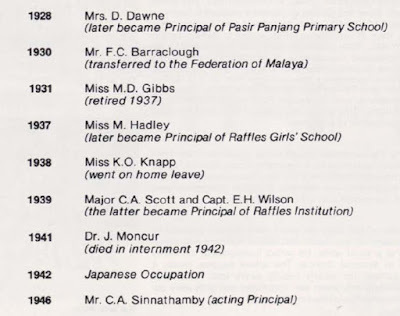 She passed away at the age of 81 on 22 May 1934, making her possibly has one of the early Japanese immigrants or settlers in Singapore. 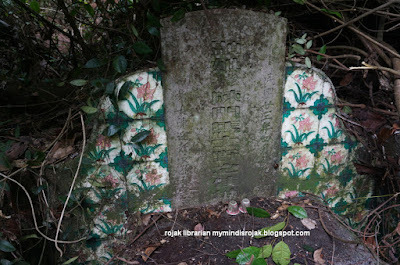 Her tomb can be found in Hill 2 Section C plot 125. 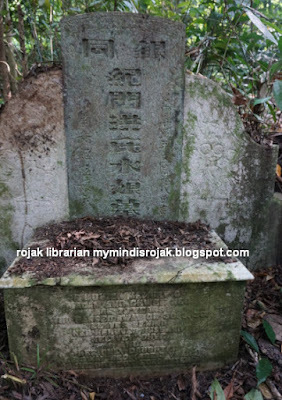 Another interesting point to note, in the burial records, it was written that Masiyah was a Japanese who converted into Chinese. (we know that is not possible, but nevertheless, very interesting indeed that it was described as so). Other tombs in Bukit Brown who are non-Chinese include; Yamada Ofuni, Wiesje De Haay, Nek Mina. 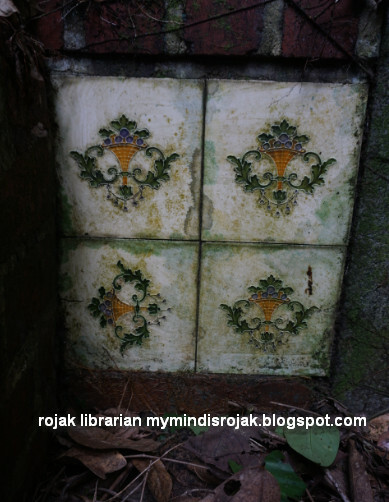 The tomb shoulders are decorated with Japanese imported tiles, while there is a unique 4 piece tile, with one of the tile wrongly placed. If anyone has more details do share ! 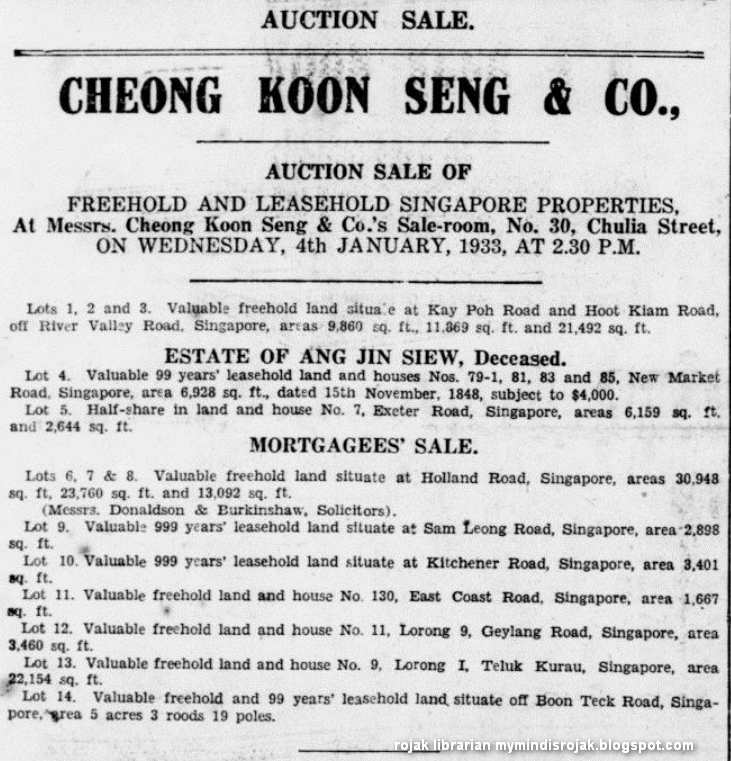 From research done by Khoo Ee Hoon, another interesting nugget gathered was the residence listed in the burial registrar was 299 River Valley Road, the same address as Cheong Koon Seng. The Teochew tomb of Ang Jin Siew (1881- 26 May 1931) can be seen in Hill 3 and is still regularly visited during Qing Ming by his descendants. 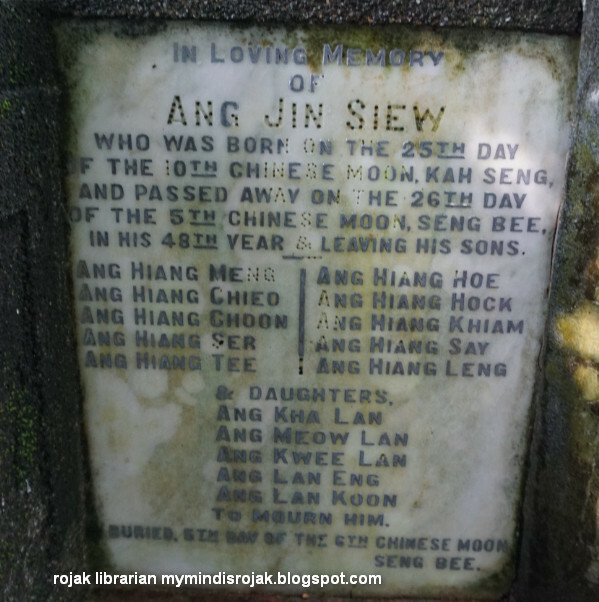 From oral accounts, Ang Jin Siew was a rice merchant who regularly made purchases of rice from Thailand. Ang Jin Siew was also a member of the Teochew Poit Ip Huay Kuan. 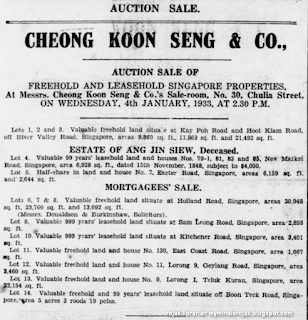 From what i can find, Ang Jin Siew was a successful businessman with several property purchases made such as the purchase of a 99 year leasehold land and houses No 79-1, 81, 83 and 85 at New Market road area for $25,000. 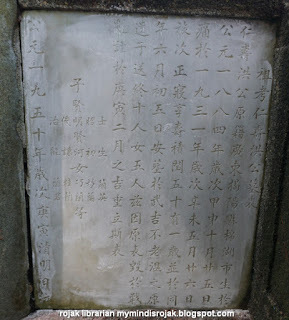 What is also unique about this Teochew tomb is that Ang Jin Siew have 5 wives and many children. The epitaph of the tomb of Ang Jin Siew highlights the fact the marble stone was remade and reinstated post war during Qing Ming 1950 because it was damaged during the battle that took place in Bukit Brown just before the fall of Singapore. are back for Qing Ming. Missing this year is their mother (in the picture above). 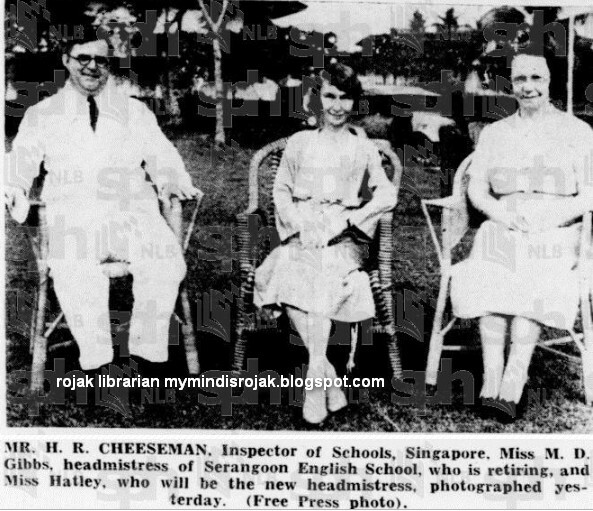 Mr. Chia Eng Siang was a teacher of Serangoon English School. He died suddenly at General Hospital on 31st December 1939. The cortege left his residence, No 736-G Lim Ah Pin Road. 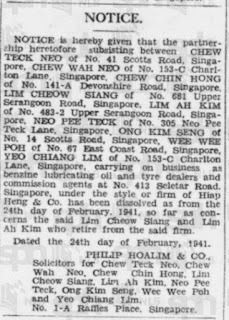 I know very little about Mr. Chia Eng Siang, however there was a mention of a Mr. Chia Eng Siang who was with the Horlicks Badminton Party during that period of time. 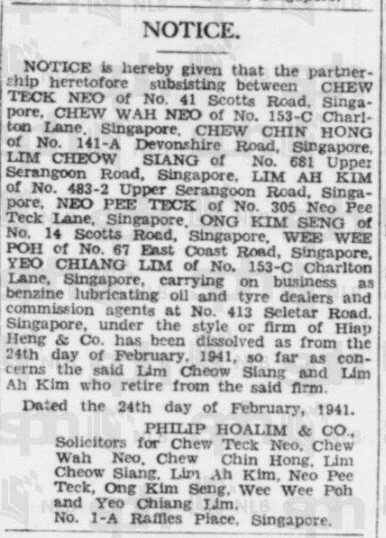 In the burial registrar, Chia Eng Siang was listed as of Khek dialect and he passed away at the age of 31. He is buried in Block 4 Section C, plot 1843. 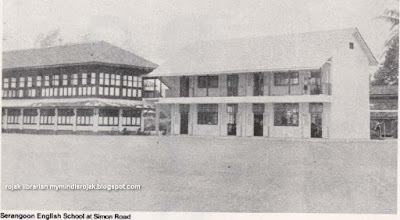 Serangoon English School was established in 1928, housed in a two-storey building in Simon Road. 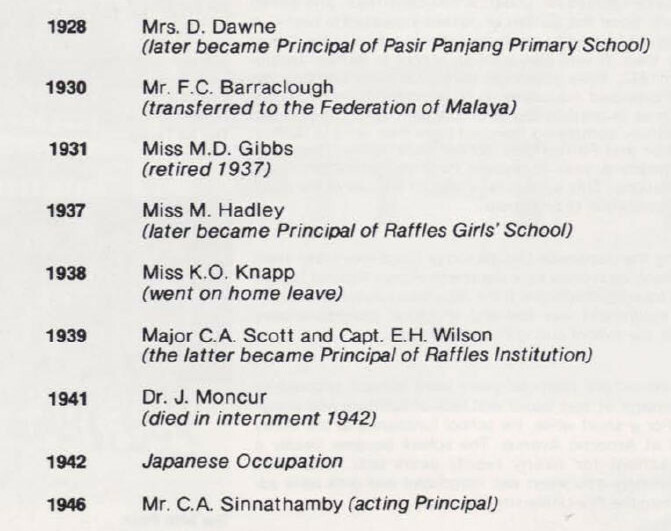 It was a co-educational primary school with only seven classes, supported by a staff made of a head-mistress (Mrs. D. Dawne) and seven teachers. 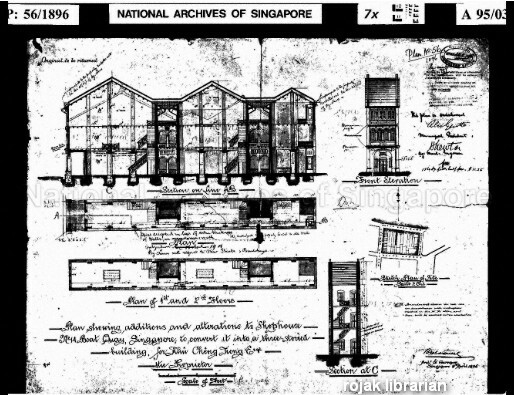 It was also a feeder school to Raffles Institution and Raffles Girls' School. In 1937, three standards were added and with this, the school provided education up to Secondary Three in present-day terms. The boys and girls who successfully completed Standard Eight then went on to Raffles Institution and Raffles Girls’ School respectively. During the Japanese Occupation from 1942-1945 it was a school for Japanese language teachers. Post war the school became a full school with primary ans secondary sections. 1957 saw the last of the primary classes and the School became a secondary school. 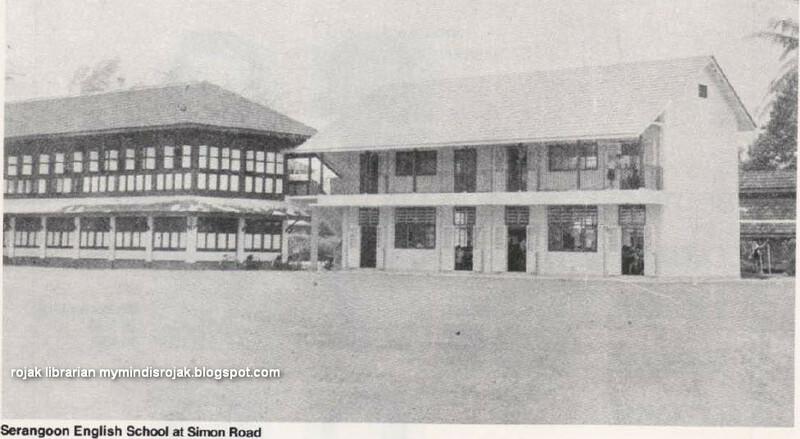 Serangoon English school shifted to Lowland Road in 1967 and also changed its name to Serangoon Secondary School. Serangoon Secondary School 50th anniversary, 1928-1978. Serangoon Secondary School, 1978. Access online from BookSG. School History. Serangoon Secondary School Website. 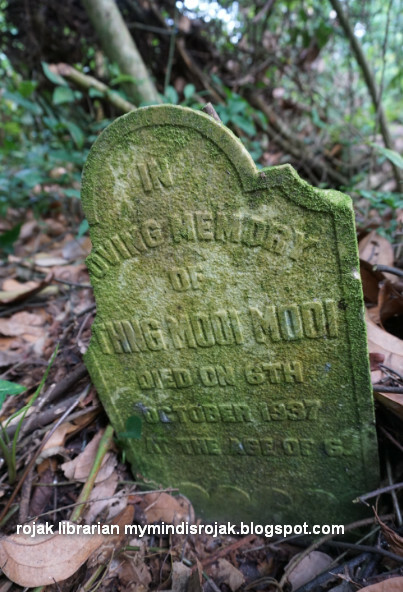 The moss gathered damaged marble tomb of Miss Thng Mooi Mooi who passed away at the age of 6 on 6th October 1937 at Block 3 Division 3, plot 127A reveals little of who she was in her brief moment of existence. If you go down to the National Archives to look at the microfilm, it will reveal two more additional information; her last known address and the cause of death and if you are lucky, you might be able to match that address to possible known residents during that period of time. The significance of the tomb of Miss Thng Ah Mooi (her name in the burial registrar), a 6 year old Hokkien girl to me was that it has help provided material and concrete evidence of clusters of plots which are often unmarked, that are reserved for children who died young or for babies born stillbirth in the Pauper Sections of Bukit Brown. 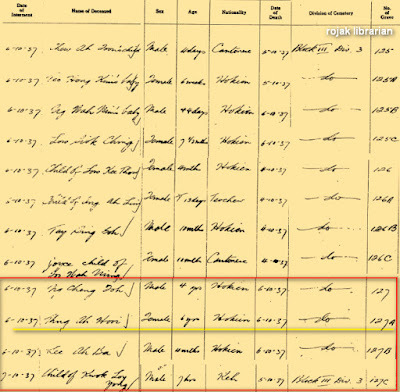 My attempt to find some this children plots in the pauper section started when going through the online burial registrar in the 1930's, i noticed patterns of young children who died of various ages, even in hours and days of death being documented as buried in Block 3 Division 1, Division 2, Division 3, etc. Armed with this information and some referenced plots ( 441A, B, C 442 A,B,C of the pauper section in Block 3 Division 1 ), I started combing in that area in search of evidence of this tombs. 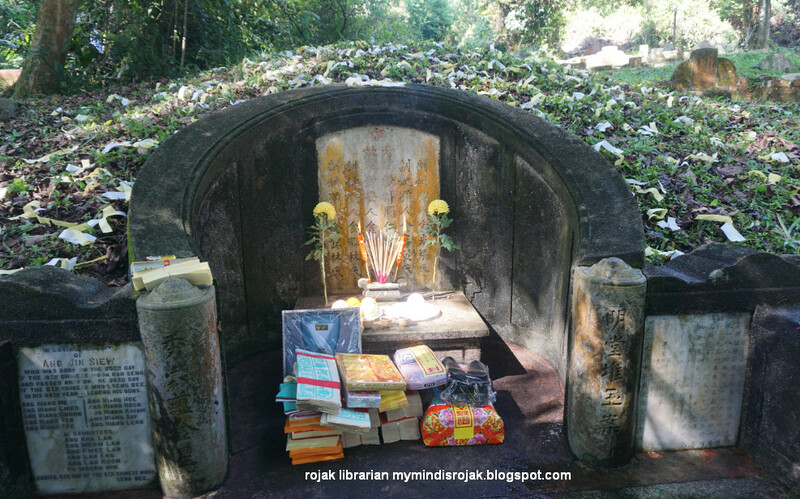 My search ended in vain, so i thought until heaven send me a helping hand in the form of knowledgeable tomb keeper Queenie Quek who despite been busy during Qing Ming helped me in my quest. Although we couldn't find those two plots, she gave me 2 valuable hints. The first one was she remembered reserved plots in the area below (nearer to the stream) where there are no tombs and the second hint, she remembered seeing a marble tomb of a child in a nearby division from where we were. Thanking her i went on my way to try to explore further. After some misses, i stumbled upon the tomb exactly described by her ! 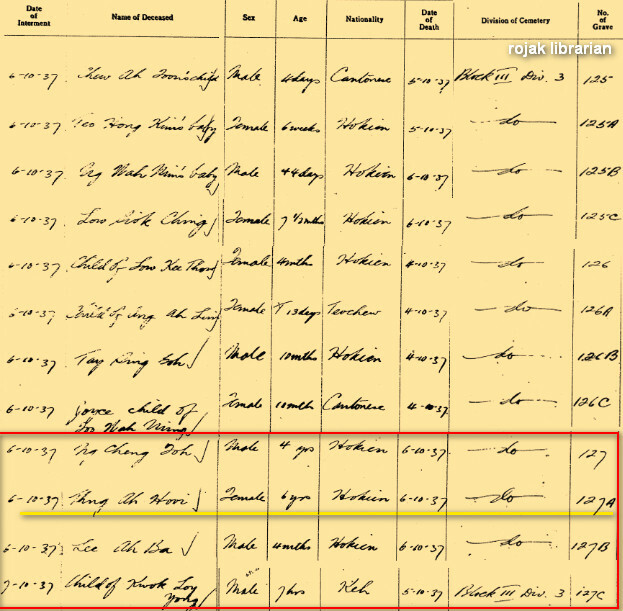 Although only the tomb of Miss Thng Mooi Mooi was the only one visible (plot 127A) in this area, the burial registrar reveals a different story. In the same area and neighbouring area are bodies of many children, 4 to each plot, subdivided further to A, B, C. In the plot where Miss Thng Mooi Mooi, lies also 3 other infants who died at various ages, including the child of Kwok Loy Yong, a male child of Keh dialect who died 7 hours after birth. Their plots are unmarked. 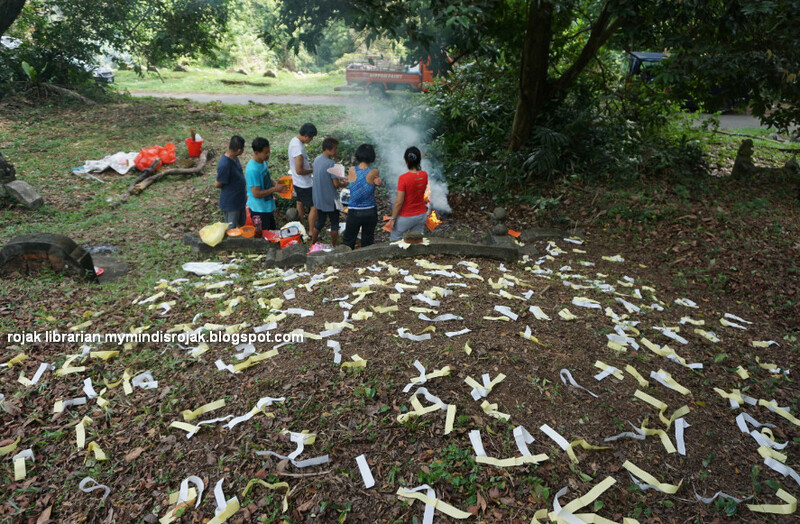 Many children remain "missing" in unmarked plots, but hopefully there will not be totally forgotten if Bukit Brown Cemetery is one day destroyed for public housing. Gravestones of the young (Bukit Brown). Rojak Librarian, posted on 1 May 2017. 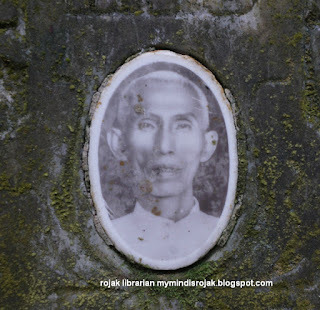 Loh Kye Juay passed away at 14 Boat Quay on 3rd March 1937, age 62.He is survived by his wife (Yeo Liang Neo), 4 brothers, 3 sisters, 4 sons, 2 daughters, 1 son-in-law, 1 daughter-in-law and 5 grandchildren. I have very little information about Loh Kye Juay but from the newspaper archives, he has business dealings with Bangkok, Thailand. He was a director with the Siam Steam Navigation Ltd. 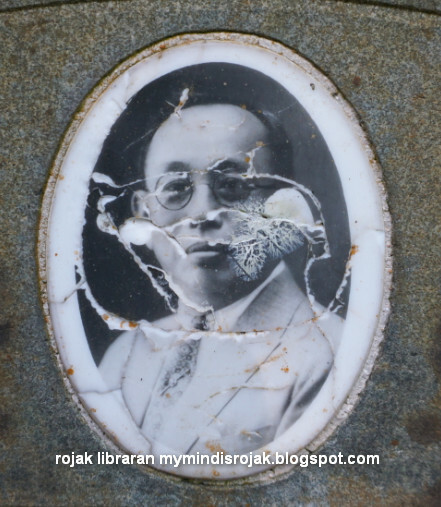 He owned a company in Bangkok called Loh Kye Juay Co. and he was a shareholder of Rajah Hitam Coconut Estate Limited (owned by Boustead and Co. Ltd). In the burial registrar he was listed as a Teochew. 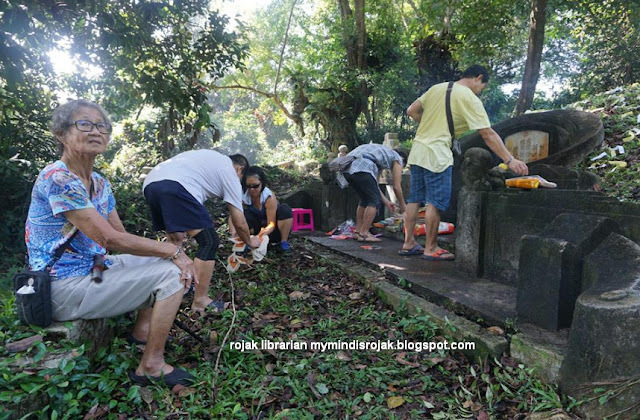 The tomb however look more a neo-classical hokkien style tomb. Loh Kye Juay is buried in Hill 4 Division A, plot 754. Neo Pee Teck residence was listed at No 305 Neo Pee Teck Lane. He was associated with the Anglo-French & Bendixsens Ltd and has partnerships in chop Hiap Heng & Co (benzaine lubricating oil and tyre dealers commissioning agents) and Chiang Hup Rubber Smoking (a Rubber Smoking and Commissioning Agent). 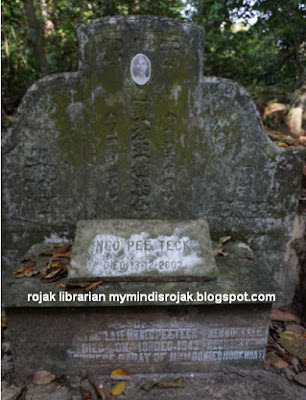 Neo Pee Teck's simple tomb is rich in history, as it carries 3 different type of calendars that mark his passing. The Minguo Calendar, The Japanese Koki Calendar and finally the Gregorian Calendar. 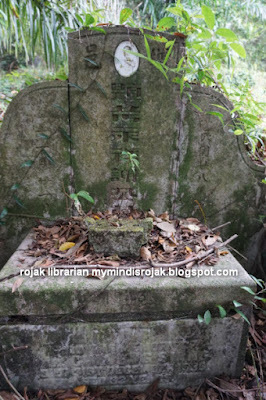 The marble tablet on Neo Pee Teck's table features clearly the Japanese Koki Calender, (died 13-12-2602). 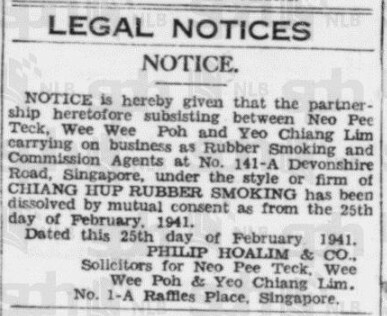 Listed on Neo Pee Teck are the name of his sons; Neo Hock Lim, Neo Hock Kee, Neo Hock Beng, Neo Hock Huat. Neo Pee Teck passed away at the age 57 and is buried in Hill 1 Division G, plot P19. In 1947, there was an auction to sell various freehold land belonging to the estate of the late Neo Pee Teck. 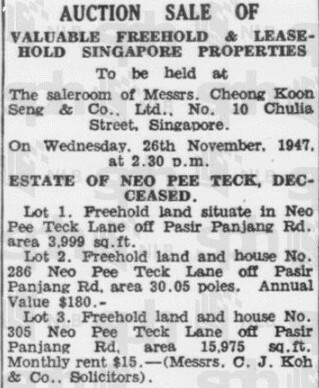 This freehold land and houses were located at Neo Teck Pee Lane off Pasir Panjang Road and included houses No 286 and 205 Neo Pee Teck Lane. Madam Ang Chwee Neo's (Mrs. Kee Yew Chye) tomb caught my attention, as inscribed on the tomb are the words; In loving memory of Madam Ang Chwee Neo, age 28 years who passed away 30.3.1936. 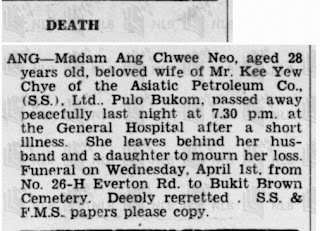 Leaves behind her beloved husband, Kee Yew Chye and her only daughter Kee Swan Neo (age 3 years) "Gone not forgotten". 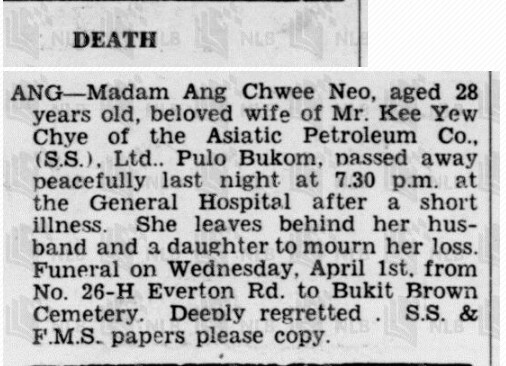 I was able to find the corresponding obituary notice which also gives insight that her husband was Mr. Kee Yew Chye of the Asiatic Petroleum Co. (S.S) Ltd. Pulau Bukom. Madam Ang Chwee Neo passed away at the General Hospital and the funeral cortege left from No 26-H Everton Road to Bukit Brown Hill 4 A, plot 185. 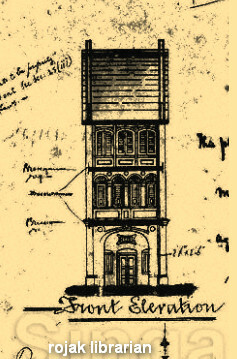 A Straits-born Chinese, Kee Yew Chye was a employee of the Asiatic Petroleum Co. Straits Settlement, and held appointments in various unions and clubs such as the Bukom Clerk Club, Bukom, Chinese Sports Club, Boustead Union (Singapore Business Houses Employees Union, Union Benevolent Society. In July 1937, Mr. Kee Yew Chye remarried to Miss Tan Choo Neo (daughter of Mr and Mrs Tan Boon Chuan) and their wedding picture (after their marriage at the Chinese Consulate) was featured in the Malaya Tribune. 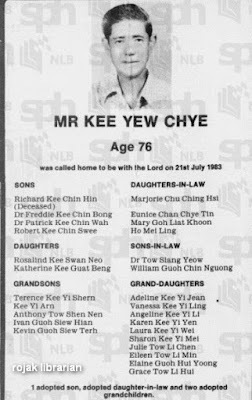 Mr. Kee Yew Chye passed away at the age of 76 on 21st July 1983. 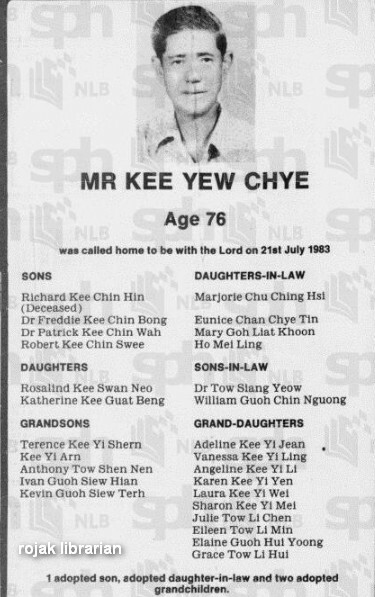 In his obituary notice are the names of his 4 sons (Richard Kee Chin Hin, Dr. Freddie Kee Chin Bong, Dr. Patrick Kee Chin Wah, Robert Kee Chin Swee), 2 daughters ( Rosalind Kee Swan Neo, Katherine Kee Guat Beng), 4 daughter-in-laws ( Marjorie Chu Ching Hsi, Eunice Chan Chye Tin, Mary Goh Liat Khoon) , 2 son-in-laws (Dr. Tow Siang Yeow, William Guoh Chin Nguong) 15 grandchildren. 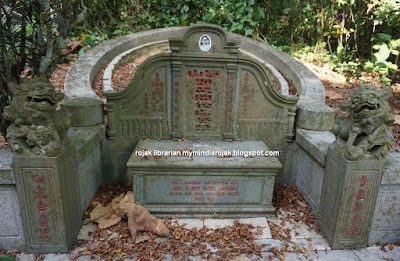 If you recalled, Kee Swan Neo is the name mentioned at Madam Ang Chwee Neo's tomb at Bukit Brown. Rosalind Kee Swan Neo married Dr Tow Siang Yeow and from what i can gather had, 1 son; Anthony Tow Shen Nen and 3 daughters; Julie Tow Li Chen, Eileen Tow Li Min and Grace Tow Li Hui. 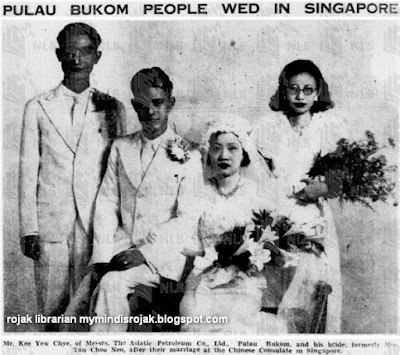 People of Pulau Bukom. Island Nation Sg.